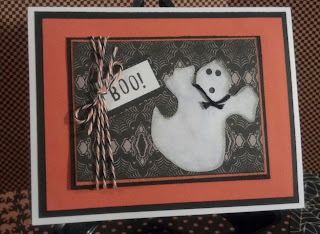 When I originally started buying scrapping supplies, I was a scrapbooker. 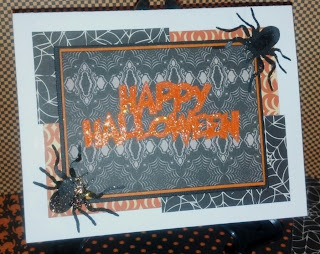 I knew nothing about rubber stamping and making cards. I had a pen pal invite me to an online chat room for scrapbookers and my whole world changed then. That was in the summer of 2004. Before then ... all I knew was stickers. :) lol My first scrapbook I completed was in 1976 ... 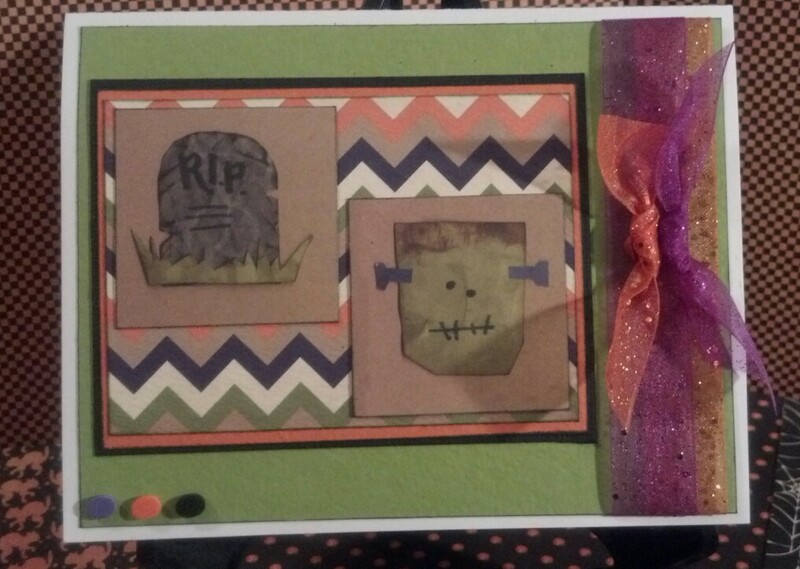 I used construction paper and I remember cutting out mats and flowers to "decorate" the pages with. 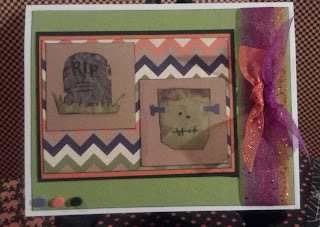 I used Elmer's glue and glued the pictures right into the scrapbooks. :-\ I was the youngest of 10 and my mother left me to my own devices ... so long as I did not touch any of her sewing supplies and stayed in my room I could do whatever I wanted with our family pictures. Can you imagine? Needless to say ... when I inherited my mother's things in November 2009 and found our family scrapbooks ... I was quite horrified at what I had done! Since 1976 I had become quite sophisticated with my scrapbooking... 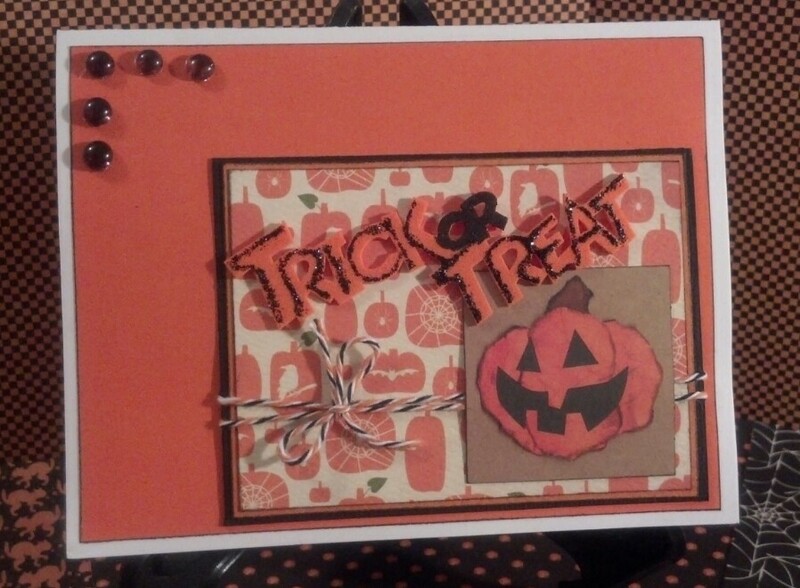 I still used construction paper and made all my embellishments for my pages but now I used photo corners. :) It was not until summer of 2003 when while shopping at a Dollar Tree that Nina opened up my eyes to what was out there. She asked for a couple of packs of 12X12 printed paper with the matching ribbons and stickers. $5 total... how could I say no to my baby? As I watched her put it together I marveled at the ease! :D I laugh about that eye opening experience now. Even then, I only went to Dollar Tree... it wasn't until September 2003 when a supervisor gifted me a scrapbooking kit for my birthday did I realize what a gold mine I had stumbled upon. She had actually bought it at an LSS. I had no idea what that was and was too embarrassed to ask so I stumbled along... in December 2003 we were collecting toys for the United Way. I had seen an advertisement in the Michael's flyer for some children's activity sets for cheap. I swung by there to buy these. It was during my lunch hour and I thought I would browse. I had shopped Michael's before ... but for fabric. I use to sew my children's clothing when they were in grade school. As I browsed about I found the scrapbooking supplies ... and my life was completely transformed. Thousands of dollars later, I find myself here. 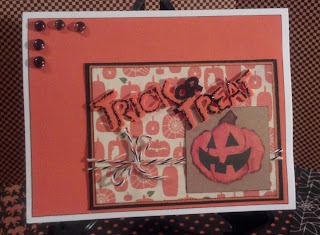 On the one above, I outlined the foam trick or treat with Black Diamond Stickles to add some sparkle to the card. I DID remember to use multi-colored twine. :) I also used some of the Robin's Nest Dew Drops I like so much. On this final card, I smeared Diamond Stickles on the happy Halloween foam sticker. I chose Diamond because I thought it picked up more of the orange in the bling of it all. ;) lol I also smeared this on the spiders and I think you can see the orange in the bottom spider. The spiders are from a punch I received in a swap. I think the spiders are a pretty good size! 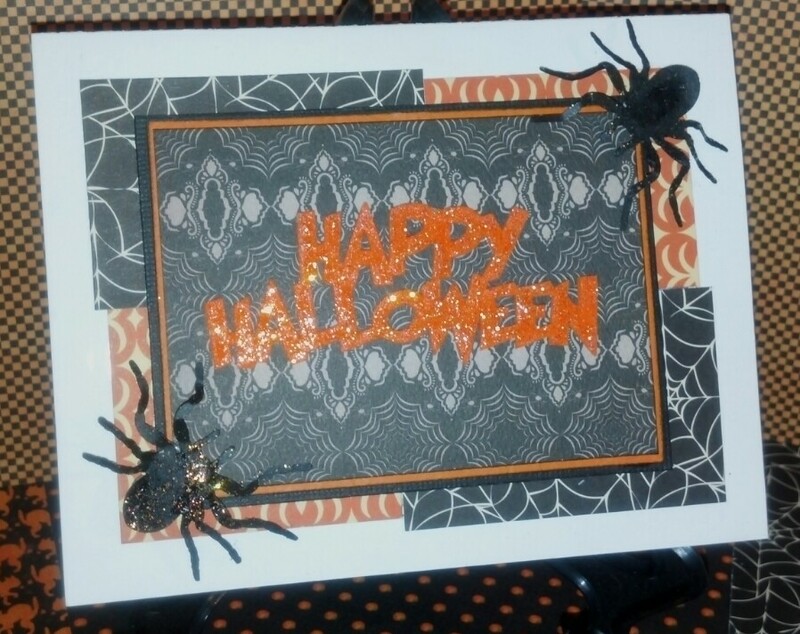 I used foam dots to pop the spiders up off the card and I think they really look like they are poised to jump. 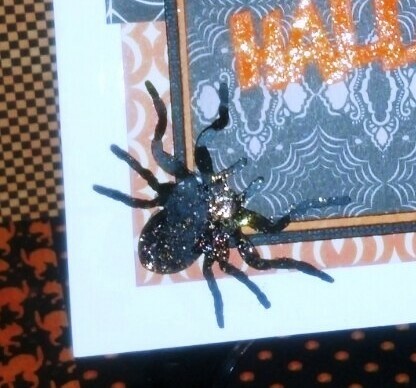 Here's a close up of the spider. I can't seem to be able to capture it as well as I had hoped but I think you get the picture. Oh my goodness another great card. Love them all.